Description: Thanks to very appealing smooth and mellow taste Long Jing or Dragon Well is very well known green tea in China and abroad. Best Long Jing is consider from area Xi Hu ( West lake in Zhejiang province). Lu Yu (733-804), author of first treatise about tea, has mentioned it in his book and highly praised for outstanding qualities like color, taste, aroma and shape. 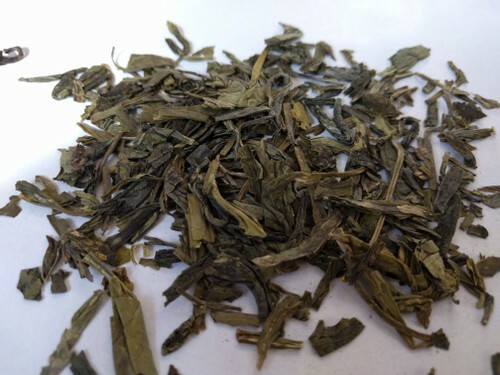 Long Jing, unlike other teas, is not going throught rolling process to get is`t unique shape. Instead leaves has been pan-fryed and shaping there done much with human palm. Taste: Vey distinctive from other green teas. Once you taste good quality Long Jing you will never forgot this original complex taste. Sightly fresh and quite sweet with noticable nutty and lingering aftertaste. Important points to brew Long Jing using Gong Fu Cha way of preparing tea. 1. Weight of tea – 7 g or five teaspoons on tea pot capacity 150ml. -	first brew – 5 sec. Not drinkable, prewashing leaves only. Recommendations: This very interesting tea can be prepared in glass tea pot or clay pot from Yixing. Like tea buds of Jun Shan Yin Zhen also Lung Jing give rare „tea perfomance” which is worth to see through you glass pot!